Behind the frosted windows of Shaika cafe, where I hung out, day after day, working on the “Dance Me To The End Of…Love” series, and other photographs, the core idea of the project was born. Crazy I thought, but I loved it. The inspiration was simple: the sum of my life, thoughts, beliefs, scars, joys, losses, travels, vision, fatherhood, childhood, tears, laughs, photography, my daughters talent, and love. I called my most pragmatic friend and lawyer, and asked her what she thought. As she put it: the craziest, yet the best idea you’ve ever had. I called upon a few friends to help out in this new chapter of my life. Many joined, many promised to join, very few stayed and supported for months the preparation of “HOW THEY SEE” in Peru. I thank them from the bottom of my heart. No need for names here, they know who they are. Well, its been quite a journey. I worked day in and day out, structuring, discovering, thinking, networking, writing letters, requests, explaining. Very few believed, trusted that the little frail man smoking a pack a day and drinking 15 cups of coffee could make it. I had no fears in that sense, I always believed that doing something that you love, is as much of a good reason to live that it is to die. On February 26th 2012, THE DANIEL MALKA PHOTO PROJECT was born. In less than ten months, there were 10,000 unique visitors to the website. On March 11th 2012, we launched the project with a one night photo exhibition at Shaika’s. It was hard work from all my friends that helped with all their heart. We raised that night, $258.70 and many promises to buy prints. It was funny, I had spent over $400 in prints, plus all of what my colleagues spent. I needed 5000$ for a 3 month mission in Peru, including the expenses of the legal paper work for the incorporation of the non-profit. So I walked up and down NDG, day after day, listening to The National, and as they say in one of their songs, having secret meetings in the basement of my brain. How could I do this? I had made a commitment to go and help these kids from Ruka. I kept looking at the photos of the kids from Ruka, that were sent to me by Alex and Ivan. I slept a few hours every night, I woke up at 5 or 5:30 am and went for my half hour walk, cold or no cold, I had to get in shape if I wanted to help these kids. By 5:30 or 6 am I would stop by Cosmos. Nikki would wait for me with that hot cup of coffee and her “So Daniel, how’s the project going?” and the philosophical and humanitarian conversation would start until 7, when the first customers would pop in for their breakfast. Nikki and Rose became my true family. I miss them dearly. They fed me day after day, emotionally as much as with the best breakfast in town. Nikki didn’t want to charge me. It was her contribution to the project, she said. Then off to Shaika or Mate Latte, where the lap top went on until the place closed down. When I discussed my project with a colleague at Dawson school of photography, I was told, what an ambitious project Daniel. Of course its ambitious, so is photography I thought. Then again, anything seems ambitious to people teaching the same classes for 20 years and collecting the tax payers money through our education system. With all due respect, of course. By July, I understood that apart my former students who gave me as many point and shoot cameras as they could, if I didn’t finance this myself, I could never help these kids. At the last minute, I managed to sell a couple of family items of some value and my flashes. I left a few things in storage, some furniture with my daughter, and I ran to buy my plane ticket. With a back sac with 15 point and shoot cameras including mine, an another full of clothes, hope and all my friends and daughters support, I left for Peru. I had the same money to buy a 10 day vacation in a decent Mexican resort. A sum an average Canadian spends for two on an average one week winter vacation. The Andes, February 8th, 2013. Four and a half months in Peru, I am sitting at a table in the small eating area of the hostal where I’m staying now. Yes, still smoking and drinking coffee, and no I haven’t gained weight, as everyone asks. But I’m trying. And yes, still having secret meetings in the basement of my brain in order to find ways to help these kids. I’m living on 16$ per day, taking a few cold showers a week, trying to stretch everything I have to build a greenhouse for the kids from Ruka, my second and biggest commitment. 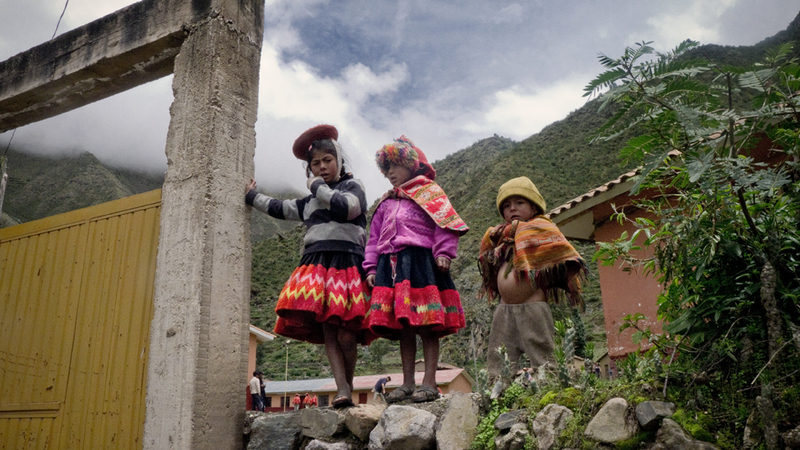 My hard drives full of over 5000 photos, my multiple journeys to Ruka, a few kilometers of treks in the Andes, a bigger heart than ever, my eyes teary at times , I have given some joy and hope to these talented kids. They have learned and taught us what resilience is, and expressed it through the lens of their hearts. ITS SIMPLY NOT GOOD ENOUGH! As I keep telling people, thanks for all the compliments, but this is not about me. I am only a messenger between these little forgotten heroes and the rest of the world. I am transmitting their courage, talent, hard living conditions and serious malnutrition problems. They suffer from developmental problems. Of course they are happy, they smile, they are respectful, they come running to me to borrow cameras, they love the power and magic of photographs. They are creative and very resilent but they deserve to eat and grow normally as much as my own daughter did. At high altitude only potatoes and corn grow. Most families can’t even afford oil. There is no milk, eggs, meat, fish, chicken or butter in their diets. They might eat a can of tuna fish occasionally. 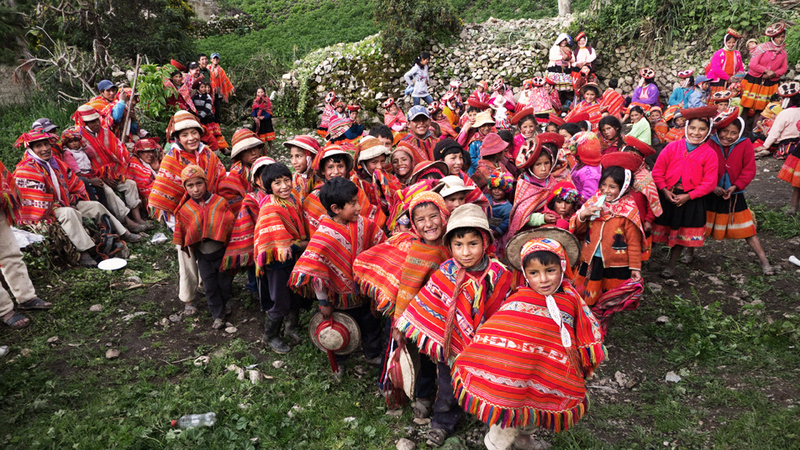 There are hundreds of Rukas in Peru. From the Andes to the jungle. The higher in altitude the less they have. 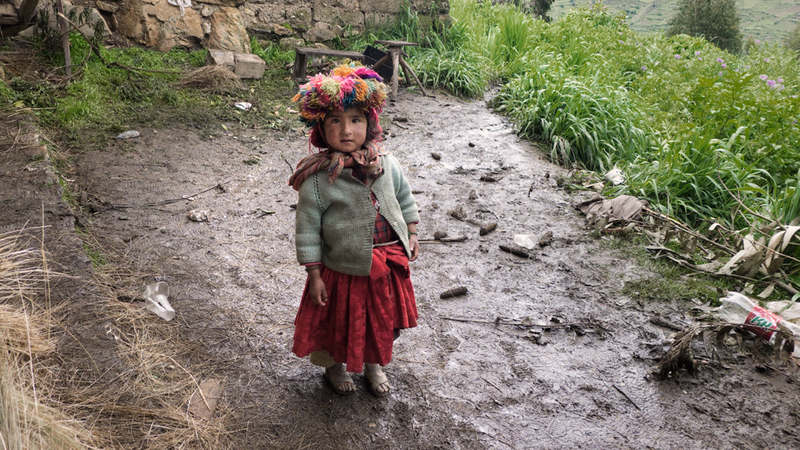 In Puno at 4500 meters, 100 children died of cold last winter. Malnutrition is a killer and worse, it impairs children for generations. I am not trying to change the world, all i am trying to do is build a small greenhouse in Ruka. A 60 square meter greenhouse managed by these 20 kids will give them access to fruit and vegetable as well as a bit of protein independently of the cold temperatures. It will be a small pilot greenhouse. The cost will be 5000$ including the education of the kids. The young photographers will document the whole process. We will then present the document and ask for more help to build a bigger greenhouse and so on and so forth. THE STOMACH OF UNDERNUTRITION, EL ESTOMAGO DE MALNUTRICION. © Copyright 2013 Daniel Malka, all rights reserved. I am calling upon everyone, to open their heart at every corner of this tiny planet and especially in Canada. I am asking and begging all my friends to copy and paste the link to this post to their walls, to email it to all the people they know, the same as Im doing. The future of our planet belongs to the children of today, so its up to us to educate them and make a change. WE CAN RAISE 5000$ for the kids and talented photographers from Ruka. On behalf of all the children and myself, THANK YOU. DANIEL MALKA PHOTO PROJECT INC. 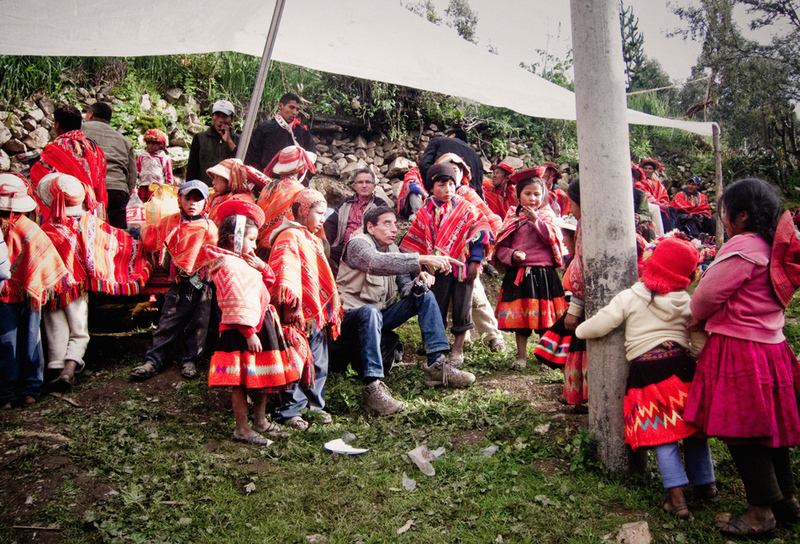 This entry was posted in Blog, Daniel Malka Photo Project Peru, FRom how they see to how they eat, peru andes, ruka, the daniel malka photo project and tagged daniel malka photography, photography project, ruka, The Daniel Malka Photo Project en Peru, the greenhouse project by admin. Bookmark the permalink.